Considering an Electric Fireplace? Here’s What you Should Know! 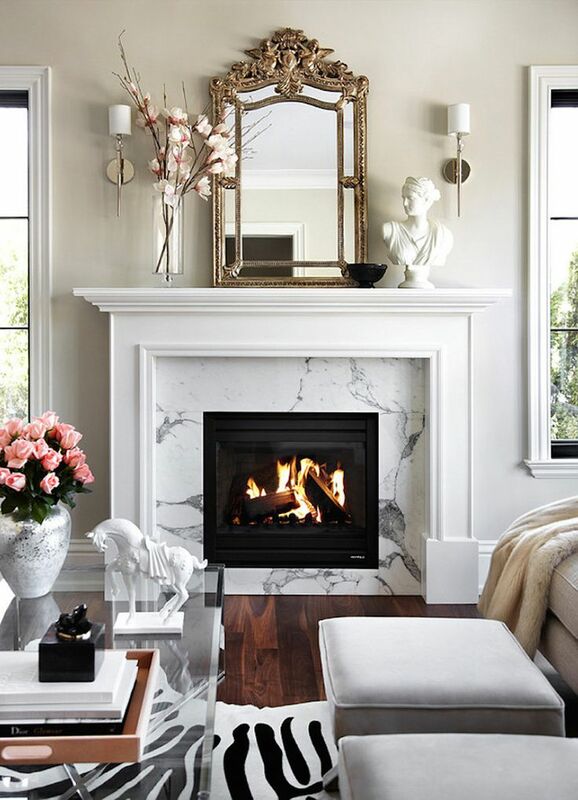 There is very little that is as cozy, inviting, or even romantic as the home fireplace. The warmth, the flickering flames, the crackle of the fire in the wood, the glow…it all adds up to create an ambiance that’s unbeatable. It beckons you in, urges you to sit nearby, preferably with a very large fuzzy blanket and a cup of cocoa, and within moments, offers to soothe away your worries. There’s something extremely captivating about staring into a fireplace that most of us can’t avoid. However, many homes simply do not have a fireplace built in, nor the capacity to install one. There’s just no way to put a chimney into an apartment complex, a boat, your RV, or even your office. Fortunately, there now exists (to the surprise of many) electric fireplaces! These can be placed in any home, condo, apartment, etc., with no chimneys, venting or gas lines required. If you’ve ever considered one, here are some things to keep in mind as you go shopping and start looking. There’s very little to worry about when it comes to installation. All you really have to do is move them into position and plug in to your standard 120 volt wall outlet. Because “installation” is so simple, you can easily move your fireplace from one room to another. 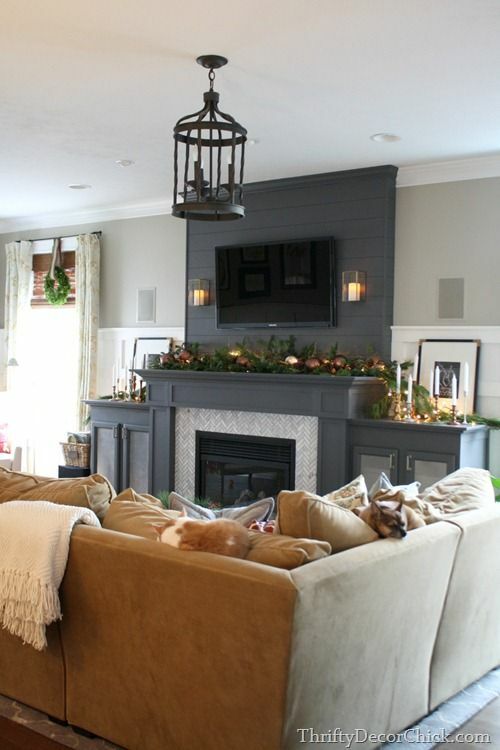 This is perhaps one of the biggest pros of an electric fireplace over a natural gas fireplace. Since a natural gas fireplace will require more serious installation and permanent connection to a gas line, you won’t be able to move it at will. With an electric fireplace, you could essentially roll it from the living room into your bedroom when you go to sleep. Of course, the biggest benefit to an electric fireplace is that you can put it in any home, regardless of whether or not there is access or ability to install a real fireplace. It’s also very easy to take your fireplace with you to your next home if you move, making it an investment that can go with you wherever you go. With a real fireplace, there’s a constant demand to keep up with a stock of wood, which is messy and dusty. There’s never a need to check to refill the natural gas tank. There is almost zero effort required with an electric fireplace. Turning it on or adjusting it is literally as easy as pushing a button, often a button on a remote, meaning you can up the temperature from the comfort of your couch. You don’t lose heat with an electric fireplace because the heat is not also escaping out of the chimney like it is when you’re using a real fireplace, making electric fireplaces very energy efficient. The safety of an electrical fireplace is also extremely beneficial, especially in homes with small children or pets. There is no danger of burning and almost all electric fireplaces offer “safe-to-touch” glass so even small hands on the glass is safe. You don’t have to worry about the fire getting out of control and creating a fire that’s too big to manage. Chimney fires are also not an issue. Wood burning fireplaces pose the danger of carbon monoxide poisoning, in addition to the fact that they produce excessive amounts of dust. There’s no danger for escaping gas that exists with a natural gas fireplace. That means you’re left with flames that look like the real deal but sans fumes, gasses, pollution, smoke, creosote and airborne particles that require venting. Many electric fireplaces come with a variety of options. Some give you the capability to turn on flames, flickering embers, and even crackling noises from a real fireplace. Most also offer the capacity to turn on “just flames” without heat, which means you can enjoy the atmosphere of a fireplace, even in mid-summer. Plus it costs just a mere 3 cents to run most of these fireplaces with flames only! You can go as big as you want and as “loaded” as you like, finding versions that offer a built-in entertainment stand or wine rack too! While they seem perfect, the usual complaint is that they do not warm like a wood fireplace does. Wood heat does feel different. However, in terms of warmth and not being content, this complaint is usually due to not finding the right number of BTUs for the particular size of your room. Some fireplace are meant more for decoration than for heating or designed to simply elevate the heat of a room, not to produce the entire heat for the room. Simply doing your research should eliminate this problem. Author Bio: Freelancer Jocelyn is a content writer who is passionate about finding replacement green, eco-friendly options for the home whenever she can. She was ecstatic when she discovered electric fireplace heaters and loves the energy savings and ambiance they combine. This electric fireplace tv stand is very easy to put together; it takes about an hour and you will just need a screw driver. This item will look very nice in your living room with a flat screen tv on top. The flames can be adjusted and it can also be used as a heater if you don’t live in hot climate. Yes, not having enough warmth is not really a downside. The fireplace selected could be not appropriate to the room. It is important to buy the right one and this article comes helpful. I searched for fireplace types and found this media console fireplace here. I would like to add as a benefit of electric fireplaces is that they are safe for incorporating other appliances. More electric fireplaces today like this are made to house other appliances such as TV’s, DVD’s, and other media components. I’m extremely impressed with your writing skills as well as with the layout on your blog. Is this a paid theme or did you customize it yourself? Either way keep up the nice quality writing, it is rare to see a nice blog like this one nowadays. Electric fireplaces are among the most efficient sources for supplemental heating inside the home. One of the main issues can be cause by homeowners connecting them with extension cords. See what can happen. Aside from that, they are cost-effective, ecofriendly, and easy to maintain. Save a life, make sure you connect it properly!